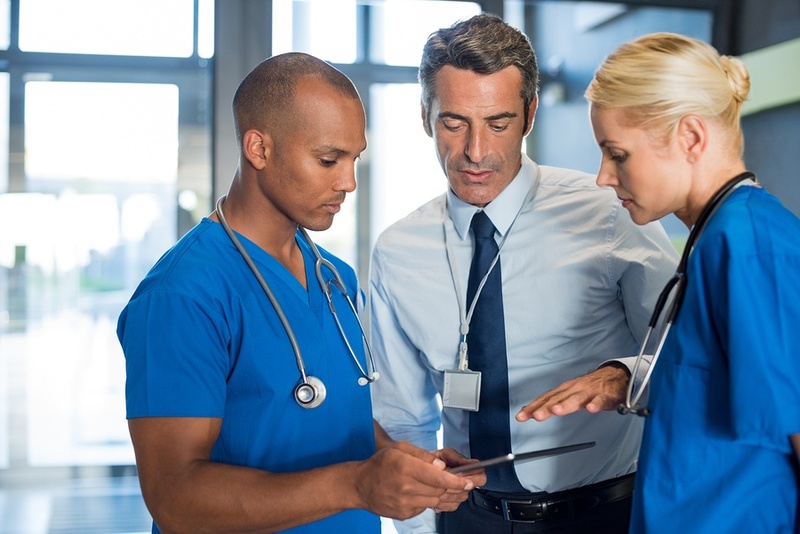 HospitalPORTAL > Healthcare Intranet Blog > healthcare technology > What are IT Directors Looking for When Purchasing Healthcare Intranet Software? What are IT Directors Looking for When Purchasing Healthcare Intranet Software? Your hospital likely has an IT department that is dedicated to managing the software and systems that are the backbone of your hospital or healthcare organization. This department works tirelessly to fix any issues that may arise including Internet connectivity issues or the selection of a healthcare Intranet for staff members to access. If your IT department is searching for a robust Intranet solution to help effectively meet the needs of your hospital, it helps to learn how the process works. Understanding what occurs when IT directors purchase new Intranet software can assist in the selection process of choosing the best Intranet software solution. The first stage of the process when it comes to buying Intranet software is that a request is made to the IT department from other departmental managers in the organization. The head of the company’s departments (often times HR, Marketing, Communications, or even someone in IT) will usually have a general idea of what they need the Intranet software to be able to accomplish within their organization. Once the request for software is placed with the IT department, IT staff immediately begin looking for the best solutions to help match the specs outlined in the initial request. Another key determining factor in which Intranet software to select is whether or not the Intranet is hosted or installed. The decision to go with one or the other option rests largely on the size of the hospital and what their main needs are. A hosted option is suitable for hospitals or healthcare organizations of all sizes, however, smaller organizations definitely benefit the most from a hosted option due to lack of server space and costs associated with upgrading servers to accommodate installed systems. A larger hospital may have the server space and resources to support the size requirements of an installed Intranet software. In addition to the overall cost of the actual software, the IT department heads will also need to consider the cost of deploying the software itself. These costs include training staff members which could require additional paid hours outside of standard time on the job. The purchase of Intranet software is a major decision and to make the right choice, IT department heads often turn to their peers for social proof. Great reviews by partner hospitals can prove convincing when it’s time to make the choice of which Intranet software to go with. There’s a lot that goes into making the best selection of which Intranet software to purchase and the IT department has a lot to consider prior to making the best determination. By keeping these points in mind, you can narrow down the options and make a shortlist of options in Intranet software to facilitate your organization in making the best possible choice. At HospitalPORTAL, we provide access to an innovative Intranet platform that is fully featured to support the needs of your hospital or healthcare organization. Browse our website to learn more about what our software can do for your hospital or medical establishment.